Rashid Khan says he used to watch Shahid Afridi and Anil Kumble's videos to learn leg-spin. 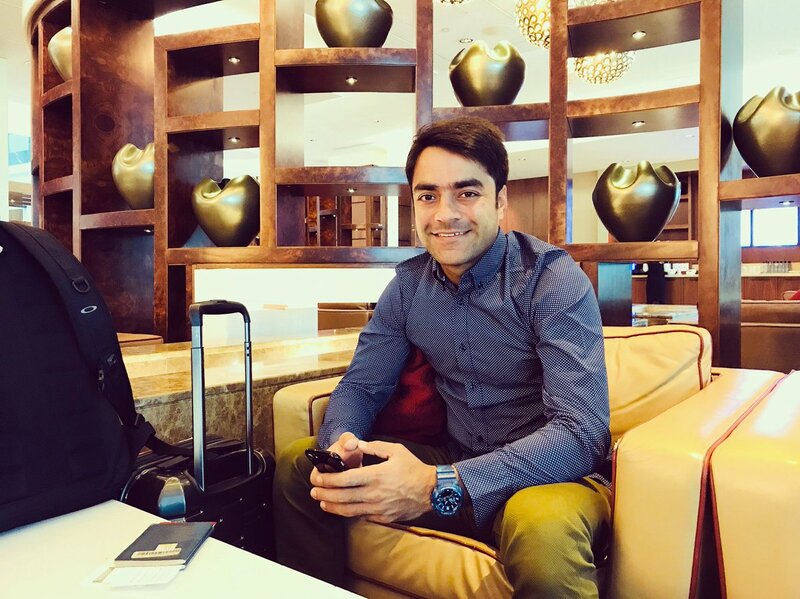 As if his bowling was not enough to leave the world in a spin, Rashid Khan has made another startling revelation that is only going to make the cricketing world even more confused. The Afghanistan sensation, in a recent interview, opined that he calls himself a finger spinner. “I call myself a finger spinner,” Rashid opined. “Sounds unusual but that’s how I bowl,” he added. He further explained the reason for calling him finger spinner despite being called by many as the best leg-spinner in the world at the moment. The 19-year old is making life difficult for the batsmen around the world. Early this year, he became the fastest to reach 100 ODI wickets. The leggie reached the milestone during the ICC World Cup Qualifier final against the Windies. Rashid was also the youngest bowler to achieve the feat. He took just 44 matches to complete a century of wickets in ODIs, comfortably beating Mitchell Starc’s record of 52 games. A month prior to that, he became the youngest player to be ranked No. 1 on the ICC’s Player Rankings across formats after clinching the top spot in T20I bowlers list. Rashid was also the youngest to captain a country at the age of 19 years 160 days. His form in the last two months has also been sensational. He finished this year’s IPL with 21 wickets — the second-most behind Andrew Tye, who had snapped 24 wickets for Kings XI Punjab. In the first T20I against Bangladesh on Sunday (June 3), he took three for 13 to help his side win the game by 45 runs. During the course of the game, he became the second-fastest to 50 T20I wickets. Rashid’s rise has been nothing less than a fairy-tale. The 19-year old revealed he saw clips of Shahid Afridi and Anil Kumble to hone his skills. Rashid has paid a big price for his on-field success. 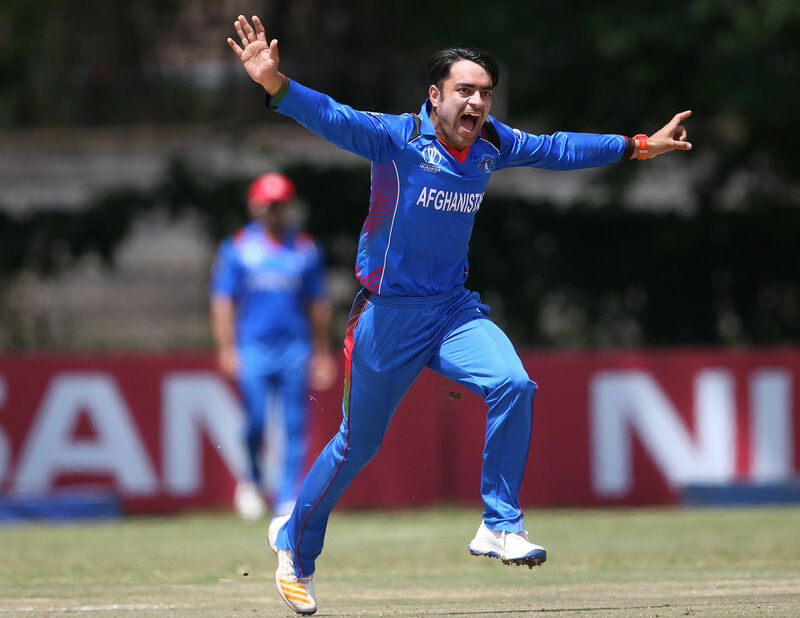 The Afghan superstar is yet to see his family since he went home after IPL last year. “Last year when I went home after IPL, it was amazing. I really loved that moment when I entered my home, and they started celebrating. Looking forward to some rest and hopefully, I can go home,” he said. “I am giving back to my people by performing. It gives them joy,” he added. Rashid is currently gearing up to play his first-ever Test, starting June 14 against India.